My husband and I were tired of trying to get a leave at the same time as we haven’t managed to do so for the past several years. But we desperately wanted to explore new places together as we did when we were students, so we were committed to finding a solution. This is how we started to explore how others succeed in this nearly impossible professional pursuit. Our search led us towards discovering a relatively new approach to vacationing called co-living. Since now certain work can be done remotely online and both of us can arrange our work load in such a way when it is possible to survive a few weeks without personal meetings, we decided to give it a try. We took a prolonged “home-office” at work and took off on our work-and-travel adventure. For those who are not familiar with the concept of co-living, I feel I should explain. Co-living (or coliving) is a new concept of traveling in the 21st century. No longer do people need to take vacations for a get-away – now they work from anywhere they fancy! Upon arrival to our chosen destination, not only did we enjoy being accommodated on a luxurious villa, but we also received a portable modem with high-speed Internet and a local SIM-card for international calls. In other words, we got complete access to all the facilities one needs for a comfortable living. What is more, we found ourselves in the midst of a community of professionals with a similar aim, that is, to live, work and enjoy life wherever we go. According to the Co-Living Digest by Kin, co-living industry is constantly growing. In 2018 the portal has identified way over a hundred co-living spaces worldwide, 177 to be precise. The US is the obvious leader, with 60 communities around the country, while its biggest European competitor, Spain, can boast of 16 co-living spaces. Quite surprisingly, thanks to its two co-living giants China offers 39 co-living spaces and lands a second place. Tropical locations such as Bali, Cancun and Phuket are also the destinations that pop-out on the list. In particular, Indonesia offers 7 communities to provide co-living facilities, one of which has become a home for us for those 4 weeks. Generally, the co-living trend experiences highest demand in the most fascinating destinations, be it vibrant cities or resorted islands. The big dogs on the list are expectedly San Francisco and New York with their unlimited opportunities and undemanding lifestyles. However, we opted for a quieter and greener, yet not less luxurious destination on an Indonesian island. Outside European working time (very comfortably starting after lunch) we indulged ourselves into swimming in the ocean and tasting exquisite local cuisine. For those who crave staying in big cities, next on the popularity list are Austin, Los Angeles, London, Stockholm and Taipei. Also, it is worth keeping an eye on Montreal, Toronto, Mexico City, Budapest, Lisbon, Chiang Mai, Singapore and Melbourne. These are the cities where co-living spaces are not yet widely advertised, but they certainly offer lots to explore for a savvy co-living experience. We knew we have had enough of the urban metropolitan rush so we needed a physical hide-away to something very different from our daily lifestyle. Another aspect to consider is pricing per night, as it varies greatly depending on the geographical location, average cost of living and the services provided by each co-living community. In fact, pricing ranges from as low as $6 per night in Indonesia and up to $117 in the Netherlands, with regards to where in the world you prefer to stay, what level of accommodation you fancy, and whether you wish to partake in group activities. According to our research, a median price worldwide would settle around $37.27 per night. Since we decided to vacation for the long four weeks, we were conscious of pricing and a reasonable rate was one of the advantages of Indonesia and hence, influential for our choice. What also took us a while was to find good-quality accommodation with full service for such working individuals as ourselves. 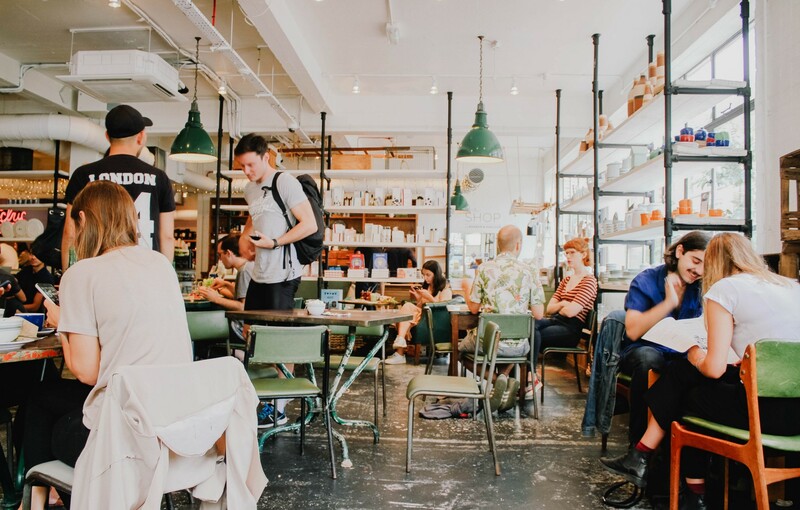 Thankfully, as in any other industry, there are big players on the hospitality market who already monetise on the new trend by providing a wide selection of co-living options for the open-minded entrepreneurs and digital nomads. For instance, YOU+ with its 21 locations around the globe started with their first co-living space back in 2012 and now the company has grown to have served 20,000 travellers. Another company with big dreams, Harbour Apartments has invested in forty buildings in 18 locations around China and proved successful. Their plan is to offer 80,000 co-living units by the end of 2019 with a focus on seven most major cities in China. The company Outsite with its 15 diverse locations worldwide started off from the idea of its founder, Emanuel Guisset, who simply wanted to satisfy his own dream of combining work, travel and an easy lifestyle on the beach. Having chosen a venue from one of the well-settled providers, we could not have wished for more. But even though the overall costs were substantial (try vacationing for almost a month! ), my husband and I still managed quite a bit of work in the meantime. What is more, we enjoyed some quality time with each other and got to know plenty of exciting professionals, with whom we shared meals, went on trips around the island or cheered a glass over festive moments. Thanks to this adventure we are now keeping in touch and planning new get-aways together. Right when our offices allow us another prolonged “home-office”. So, if you feel you are lacking inspiration, need a change, can afford to work online and are ready to follow your nomadic dreams of seeing the best this world offers you, Co-Living lifestyle may be something you should consider. N.E.O. PEOPLE are not afraid of changes, quite the opposite – they seek them and they welcome challenges, which move them forward and help them find their inner balance and comfort!